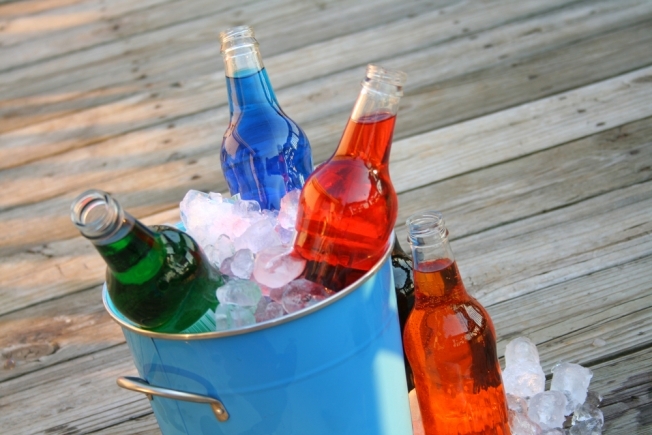 Save money and the environment with DIY soda. True beer lovers invariably try their hand at creating their own brew. Coffee connoisseurs buy expensive espresso machines to create that perfect cappacino. So isn't it time soda lovers got in on the game? If you're shelling out a significant amount of your dwindling savings on soda, or you're just too lazy to go to the store, Sodaclub USA has created an ingenious peoduct that brings the soda to you. Accoring to Popgadget, Sodaclub has come out with Sodastream, a machine that produces homemade soda in 30 seconds. Sodaclub's website offers 25 sodamix flavors, in regular, diet, and caffeine free. They even give you suggestions for recreating your favorites at home, like "Pete's Favorite" as a replacement for Dr. Pepper. If you're less a fan of orange soda and more for adult beverages, you can also make your own tonic water and ginger ale. I'm sure you can come up with some uses for both of those flavors. Not only is Sodastream a money saver, but it's also good for you and the environment. You can control what goes into your sodas or seltzers, and can avoid chemicals you can't even pronounce that undoubtedly do not occur in nature. One canister of C02 lasts for 30 gallons without batteries or electricity, and the bottles are reusable. Using Sodastream means you make less of an environmental impact as you sip your bubbly. For the full article, visit http://www.popgadget.n et/2009/02/making_ecofrien.php. For more information regarding Sodastream, Sodaclub or their products, visit their website at http://www.sodaclubusa.com.